Southampton midfielder James Ward-Prowse has been called up to the England squad for the Euro 2020 qualifiers against Czech Republic and Montenegro. The 24-year-old has only won one cap for his country when he came on as a late substitute in the 1-0 friendly international defeat to Germany in March 2017. 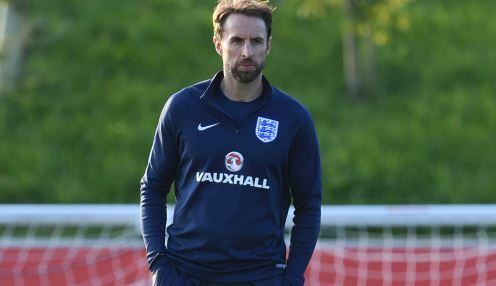 England boss Gareth Southgate has added Ward-Prowse to his squad as Manchester City duo John Stones and Fabian Delph, as well as Chelsea's Ruben Loftus-Cheek, have withdrawn because of injury. Free-kick specialist Ward-Prowse has scored six goals in his last nine Premier League appearances, including three in the last three against Fulham, Manchester United and Tottenham. Southgate surprised many people when he did not include the Saints star in his initial squad, although he said at the time: "We love Prowsey. I have been accused of being the father of Prowsey over the years. "This most recent spell is his best since we capped him before. He is a world-class deliverer of set-plays but he has only recently got back into the team at Southampton. "Our midfield is a difficult balance. Four months on from our last game you could say that [Fabian] Delph isn't playing for Manchester City but he was our best player against Croatia." England, 5/1 to win Euro 2020, can be backed at 2/7 to beat the Czech Republic on Friday while Ward-Prowse is 8/1 to be the first goalscorer. Trent Alexander-Arnold (Liverpool), Ross Barkley (Chelsea), Jack Butland (Stoke City), Ben Chilwell (Leicester City), Dele (Tottenham), Eric Dier (Tottenham), Jordan Henderson (Liverpool), Tom Heaton (Burnley), Harry Kane (Tottenham), Michael Keane (Everton), Harry Maguire (Leicester City), Jordan Pickford (Everton), Marcus Rashford (Manchester United), Declan Rice (West Ham United), Danny Rose (Tottenham), Jadon Sancho (Borussia Dortmund), Luke Shaw (Manchester United), Raheem Sterling (Manchester City), James Tarkowski (Burnley), Kieran Trippier (Tottenham), Kyle Walker (Manchester City), James Ward-Prowse (Southampton), Callum Wilson (Bournemouth).